The leading gastroenterologists of the country are concerned about a majority of Indian population that lacks awareness about Hepatitis. As a result, the newly formed Indian National Association for Study of Liver and Current Perspective in Liver Disease has decided to start an online data registry detailing the rising number of hepatitis patients. 75 percent of such people who lack basic awareness of the hepatitis, may it be B or C, cannot be treated at the curable initial stage. The symptoms are not felt initially and, when the virus causes liver cancer, the person is then made aware of the disease. The association will also disseminate information to the regional hospitals and help the health centers located in remote areas of the country get the medicine supply. 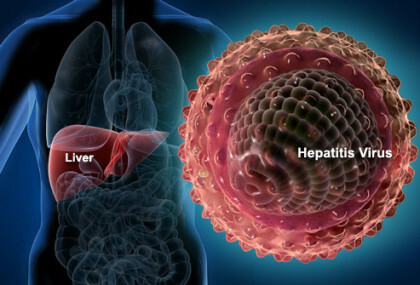 Talking about lack of awareness about the deadly disease, the experts said that Hepatitis was 28 times more dangerous than AIDS due to the absence of symptoms, even as the disease spreads gradually in the patient. Four lakh people die due to liver diseases, a result of hepatitis, in India every year. The states most affected by the disease are Punjab, Haryana, Odisha, Uttrakhand and Himachal Pradesh among few others, they said.